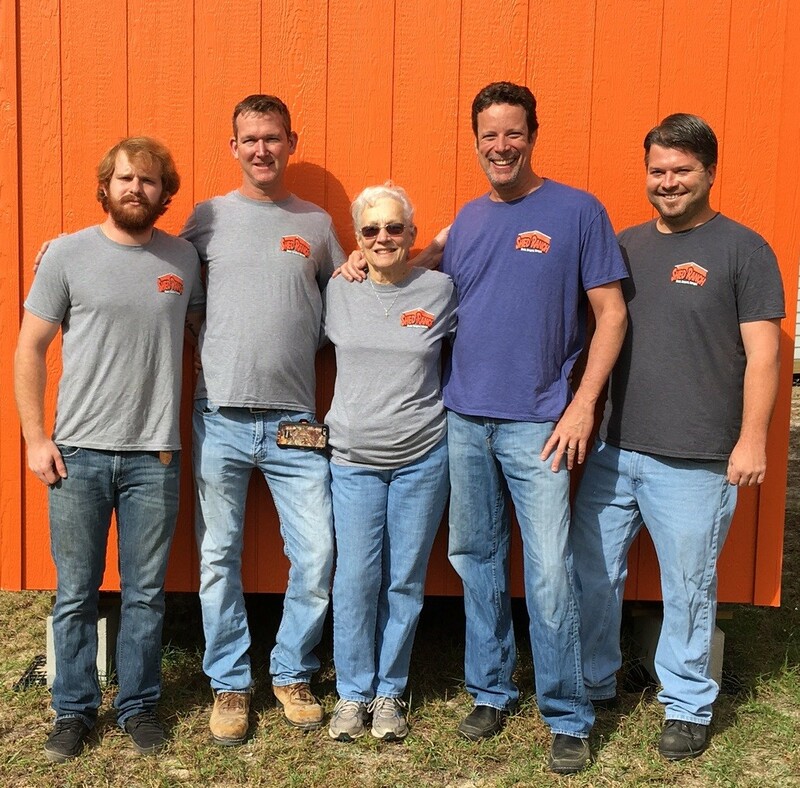 The Shed Ranch is a local business owned by Joan Griffin and her sons. Their father Don “Pops” Griffin was somewhat of a legend for sheds in Central Florida. The Shed Ranch was formed in 2002 and the family has kept up the tradition. They are truly local and the ethics of a handshake and your word is very important. Shed Ranch does their own deliveries – they know how to get the shed in your yard and anchored down properly. They do the extras and so their reputation and repeat customers drives their business. Full service with a neighborly family approach. Joan has “Sheds” of all sizes, colors and styles. They also offer Rent To Own and Financing. Looking for a “Carport or Steel Building”? We have a complete line plus offer a Shed Moving Service. Stop by and check us out! We like animals so bring yours along or see our latest cat or dog – Somehow they find us! Visit www.shedranchinc.com for testimonials. *Shed sales and deliveries servicing Bronson, Archer, Williston, Chiefland, Trenton, Newberry, Gainesville, Fanning Springs, Cross City and the surrounding areas.